The recent judgment handed down by the Constitutional Court put an end to a season of jest fronted by the MDC-Alliance's Nelson Chamisa and his supporting cast of pseudo-democrats and Twitter revolutionaries. The subsequent inauguration of President Mnangagwa, in essence, revealed the democratic trajectory that has been pursued by the new dispensation in that democratic processes have to be followed to the letter no matter how disconcerting - it is the law. It was an inevitable conclusion that one party fought so dirty that the sand the youthful leader promised to raise ended up in his own plate of sadza. The loose coalition of opposition parties played a game of optics and drama from day one. From hijacking the sombre funeral of founding MDC leader Morgan Tsvangirai, to the penultimate exposure brought about by bringing a case with no merits to the Constitutional Court (Concourt). Julius Malema put it bluntly: "If we use rallies as a measure of success in terms of elections, then why go to elections, let's just use rallies to decide . . . we must be so dignified even in defeat." The MDC-Alliance psyched up its supporters for a disputed election even though the dispute was merely for grandstanding purposes with the ulterior motive of becoming part of Government through the back door. Sadly, some fell for the it and took to the streets, while some of their leaders took to their heels. The MDC-Alliance mob went on the rampage robbing, harassing and destroying property in a province they won. What are the odds that some of the people who had phones stolen, cars burnt or had their shops destroyed actually voted for the MDC-Alliance? Come 2023, they'll have their voice heard, that's a certainty. The regrettable and unfortunate loss of six lives was the eventuality. President Mnangagwa has since said a commission of inquiry will soon get to the bottom of that and certainly people have to find closure after losing their loved ones. The MDC-Alliance held 79 uninterrupted rallies, traversing the length and breadth of the country undisturbed by threats or violence. With "phenomenal" social media backing, the party sought to portray an image of support on the ground to the extent that some of their followers even "borrowed" images of the EFF's sixth anniversary celebrations. The running theme throughout their campaign via the social media was that they had the numbers. But Zanu-PF also had the numbers at its rallies and as shown by its two-thirds majority, it actually had numbers that count. The alliance campaign was based on falsehoods and far-fetched promises. Promises of airports at homesteads and the return of the US dollar. Boasting of having met Donald Trump and subsequent withdrawal of the claims on global media platforms was embarrassing. Claims of having played a crucial role in Rwanda's ICT policy were met with disdain by President Paul Kagame, while the election rigging evidence harped on on Twitter remained on microblogging site, never to be seen in court. The MDC-Alliance knew from the onset that they were bound to lose the harmonised elections and thus sought to pursue a campaign that was filled with illusions, which ultimately led to complacency. Now they're clutching at straws due to their lack of organisation. A party that is unable to pay polling agents, but can afford to pay foreign advocates cannot be taken seriously. As they continue with the drama, they have filed their petition with the African Commission for Human and People's Rights (ACHPR). 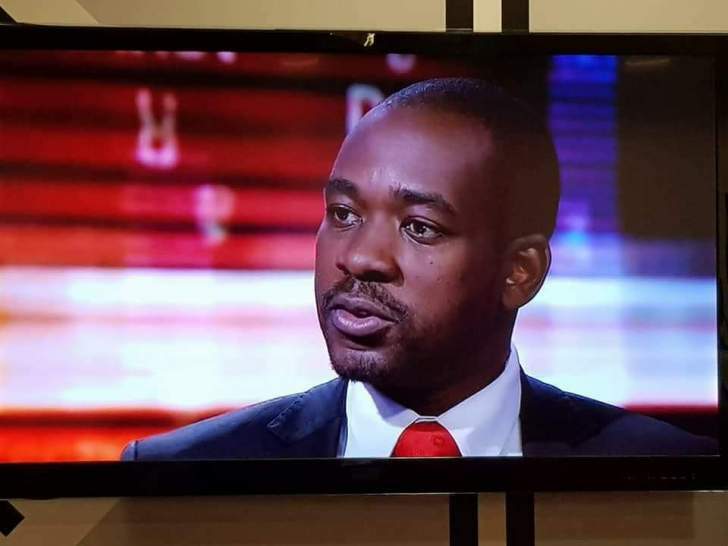 In his petition, Chamisa argued that the Constitutional Court and the Government of Zimbabwe violated the voters' rights to a legitimate Government by manipulating the July 30 presidential election results in favour of President Mnangagwa. This is what the learned bench has decided on, stating that it is not for the court to decide on elections, but a task reposed in the people and the people made their choice on July 30. The aim of the petition was not seeking recourse, but to locate another avenue for a coalition Government, an avenue frowned upon by African states. It is worth noting that the Concourt could have thrown out the petition as it was manifestly defective as indiicated by Chief Justice Luke Malaba, but due to the gravity of the matter, they saw it wise to hear the case. The Concourt's job is to interpret, protect and enforce the Constitution and that is exactly what it did. What is now left is for President Mnangagwa to continue with the development agenda he started when he assumed power in November last year. He has to cut the red tape, stamp out corruption, create jobs and foster enterprise as well as ensure idle land becomes productive.